It feels good when someone compliments me for having good skin. Thanks to my genes but how you maintain your gift is also very important. When they say what you eat reflects on your skin similarly what you apply on skin also plays an important role. With summers just round the corner I have to pay much attention to keep my oily skin fresh all day long. 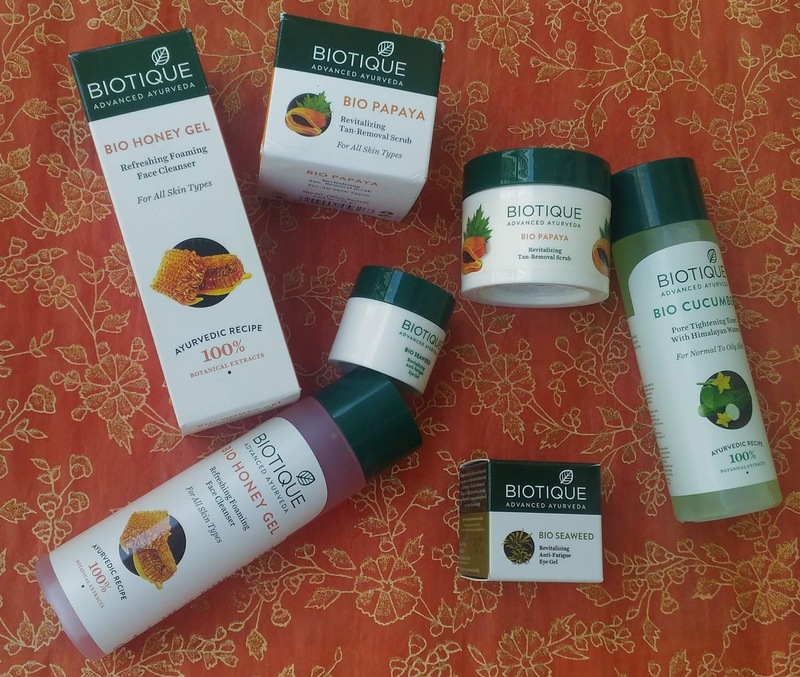 Whenever I am on lookout for just the right products Biotique always shows up as my saviour. In this post I will share what all Biotique products I am using to keep my skin revitalize and refresh. My skincare routine completes with new eye gel from Biotique. It is important to use eye gel regularly to keep under eye area clear of any dullness, fine lines. Apply gel around eyes in circular motion to increase blood circulation. Also a two minute massage around under eye area relaxes eyes which lead to good sleep at night. Biotique eye gel is priced at Rs. 199, click here to buy online. I am really happy with these products from Biotique as they are free of chemicals and gives good results on skin with time. This skincare regime is in budget and you can easily invest in all these products.